Prayer Works! | Smile, God Loves You! So, what makes prayer work for some Christians and not for others? Simply, it’s our lack of faith in God. Many of us come to God in prayer with a hope that He’ll hear us and with a hope that He’ll answer. We really don’t know for certain that He will hear us, that He will answer us or that He even can help us. We tend to analyze circumstances according to our own standards and our own abilities. The amount of money we need is too great and impossible for us to attain, and we’ve thought of every possible answer and there is none, so how can God really help us? The doctor’s report is filled with facts and they say there is no hope for recovery, so how can God change that? We need to come to God with our whole heart and with the innocence of a little child and cry out to Him with our problems and expect Him to answer with something that is not limited to this world. We can do this when we have faith in God and know beyond a shadow of a doubt that He not only hears us, but that He will answer us and do the thing that we desire. How do we get faith in God? 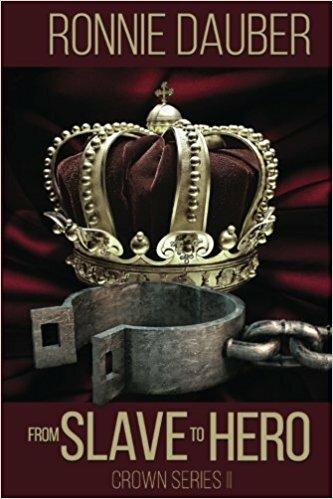 We need to read our Bibles and learn who God is, who Jesus is and who we are in Christ. Every time we read our Bible, we need to pray and ask that the Holy Spirit will reveal His truth to us because there is absolutely no way that we can read with Spiritual understanding unless God reveals it to us. We also know that Jesus told Peter in Matthew 16:17 that only the Spirit of God had revealed the truth of Jesus to him, and we know that only His Spirit can and will reveal God’s truth to us today. How do we know what to pray for? What will God react to? We know that if we pray for things that are wrong that God won’t answer, such as praying to win a million dollars so that we’ll never have to work but instead live out our lives on the beach. How do we know what are the right things to pray for? 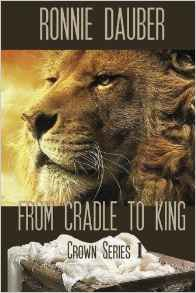 We learn everything that we need to know from reading the Bible. God covers everything in there and He is clear about what He wants for us. We know that He wants us to work so we can provide for our families and so we know that He wants us to have the things we need to do this such as clothing, a vehicle and food. 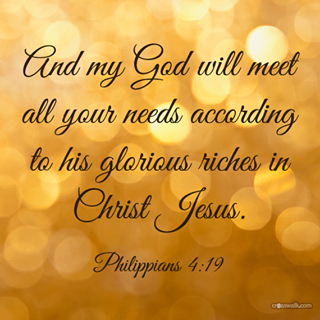 God has promised in Philippians 4:19 that He will, “…supply all your need according to His riches in glory by Christ Jesus.” So the more we know God, the more we praise Him and the closer we get to Him and the more faith we have in His Word and the more confident we become that He will supply all of our needs. How do we know that God will answer our prayers? As we get to know God better, we begin to understand His Word and the love that He has for us. Our faith in Him grows and we develop a confidence and a trust in Him. We begin to realize that He WILL hear our prayers and that He WILL answer them and that He WILL be with us and guide us through our trials. We get to the point where praying is no longer a ritual that we do on our knees with our hands together, but rather, it’s a heartfelt conversation with our Heavenly Father who is listening and preparing a solution for us even as we speak. We feel the very presence of God when we pray and we know that He is concerned about us and is already on the scene. And so we can come to the Lord in prayer with a hope and a confidence that He will answer us. 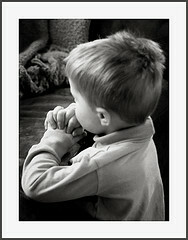 When we believe God and His Word, then we become mature Christians who know how to pray and what to expect. When we pray, we not only draw close to the Lord, but we begin to see things through His eyes and we begin to react with His understanding and we love others with His passion. 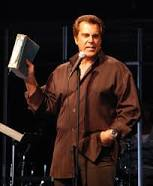 Prayer request: Please join me in prayer for Carman Licciardello, a man who has dedicated his life to preaching the gospel of Jesus to our youth, but who has been afflicted with a deadly cancer and is currently undergoing horrific episodes of chemotherapy. 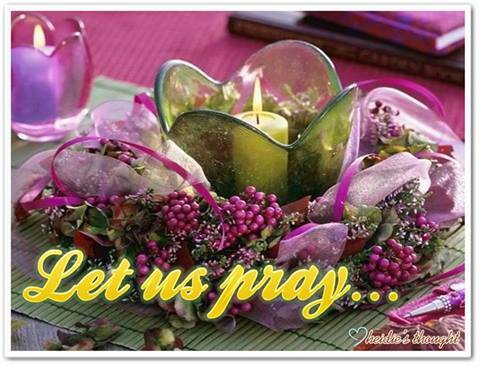 Let’s pray and believe together that God will continue to keep His hand upon Carman and heal him completely. Matthew 18:20 says, “For where two or three are gathered together in My name, I am there in the midst of them.” And we know that where God is, sin and sickness must go. Praise the Lord! ← What’s the Difference Between Worry and Concern? Hope you enjoy this blog post from a dear sister in Jesus!